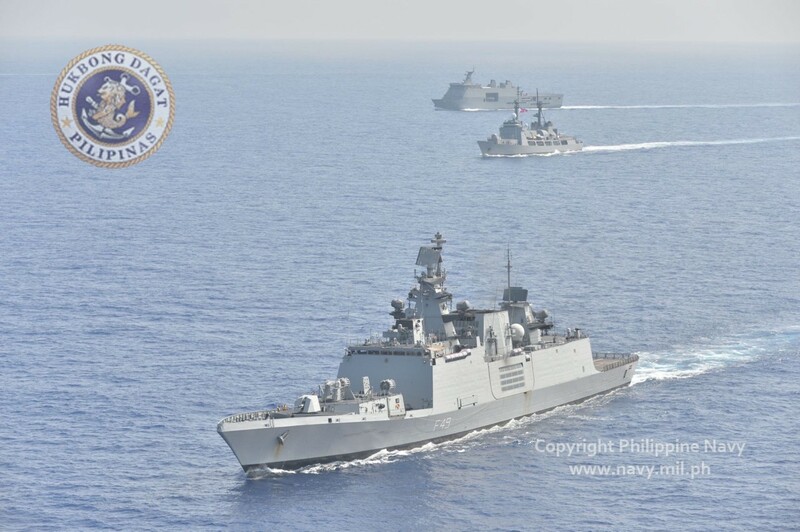 MANILA -- The Philippine Navy (PN) will deploy several assets and units to participate in the seagoing exercises of this year's "Balikatan" which will run from April 1 to 12. "The PN will participate in the at-sea serial of this year’s iteration of 'Balikatan',” said Navy spokesperson, Captain Jonathan Zata in a message to the Philippine News Agency on Friday. Zata said that BRP Ramon Alcaraz, BRP Tarlac, a PN AugustaWestland (AW-109) helicopter and contingents from the Naval Special Operations Group, and the Marines Special Operations Group “will conduct naval maneuvers and live-fire exercises, maritime special operations serials such as VBSS (visit, board, search-and-seizure), gas oil platform recovery, and similar spec-ops combined training". He added that the Naval Combat Engineering Brigade and PN doctors and health specialists will conduct medical activities within the identified communities where this year’s "Balikatan" will be held. Zata said the Philippine Marine Corps (PMC) will conduct combined amphibious operations with their counterparts and extensively train with the operation and maintenance of the amphibious assault vehicles as part of the PMC' efforts as it prepares for the arrival of its AAVs.